Vertu Motors Plc has been awarded the Best Retailer Digital Customer Experience Award at the 2015 Auto Trader Click awards. The Click Awards, now in their 8th year, celebrate the best in digital car retailing and have developed a strong reputation in the digital retailing calendar. The awards are judged by an independent panel which analyses all nominees through objective research. The awards were also judged on a survey of 7000 consumers. The participants in the survey were asked to visit three randomly selected websites, covering car manufacturing, dealerships and car supermarkets, and search for new and used cars. They were then asked to rate each website based on ease of use. Vertu was praised for the strong design and accessibility of its website. The judges said that it was clean, modern and easy to navigate, and also applauded the ease with which customers are able to search through stock listings. 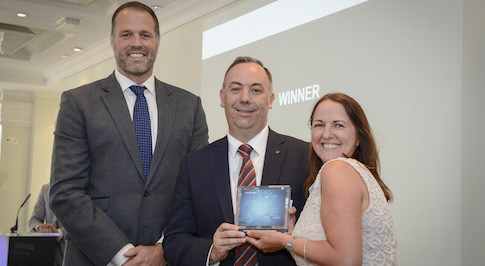 Robert Forrester, chief executive of Vertu Motors, said: "I am delighted that Vertu Motors has been presented with the Best Digital Customer Experience Award from Auto Trader. This prestigious award is a massive endorsement of the work taking place across the business by our highly skilled internet team, which is meeting the needs of our customers. "It is a great endorsement of our web strategy as the award was based on the views of real customers who tried out all of the major websites in the industry. Winning this award will motivate everyone to continue to enhance our online experience." Sharon Randall, Auto Trader sales director, added: "Every award winner should be proud of their achievement. We aspire to lead the future of the digital automotive marketplace and those who took to the BAFTA stage are blazing a trail for the industry. I am sure we will be welcoming back many award winners next year." Don't forget to sign up to our newsletter to get the latest offers from Vertu Volkswagen.